African countries should get extra EU funds so they can assess asylum applications before migrants risk their lives travelling to Europe, Emmanuel Macron said yesterday. 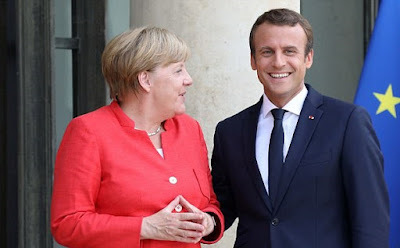 The French president said the transit countries of Niger and Chad had a particularly important role to play in stopping men, women and children dying on flimsy boats in the Mediterranean. At present thousands cross the border into war-torn Libya before heading for the coast, where people smugglers provide death trap vessels that have claimed some 14000 lives since 2014. At a summit between EU and African leaders in Paris, Mr Macron said 'a short-term action plan is the most effective response to the intolerable phenomenon of human traffickers'. Who else agrees?